HomeBlogWhy You Should Be Using Video This Year. Video is completely and utterly in the here and now. From scoring favourably on search engines, to providing a quick and easy means of telling an audience who you are and what you do, there’s never been a more important time to get your Steven Spielberg on. As we all know content which is interesting, useful, informative, intelligent and entertaining is more likely to be shared through the various plug-in devices that you should have embedded on every page of your website. Search engines reward sites that have shareable content and as video provides instant access to whatever it is we deem shareable then it is fast becoming the best form of rich content and a ‘must have’ for 2013. In the past, using video has been a bit, well, clunky and often caused sites to go into melt-down simply at the mere suggestion of a moving image. These days, Google is all over high quality content and as such changes are afoot to help sites embed media that can be viewed and shared as opposed to just being linked to. It’s no longer an expensive exercise which will use up the majority of your marketing spend and social media networks such as Facebook and Twitter are also offering some great chances to use their sites as a host so you can take advantage of a larger media capacity as well as all the sharing capabilities that come as standard. Sites such as You Tube and Vimeo are both excellent for presenting videos that you have created and promoting your products or brand image. Although the videos hosted on these sites won’t always help your domain to rank well, the content itself can be shared and ranked independently which, if you’re wanting to get noticed, is always a good thing. Did you know: the second largest search engine in the world is YouTube? One of the best methods of enticing customers onto your site is to include a video on a page that’s targeting terms which are likely to receive a rich video snippet. For example, terms such as: tutorial, video, how to, demonstration etc. 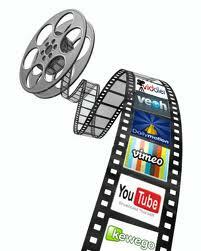 all rank well for video results and will increase rankings and click-throughs and ultimately improve conversion rates. Make sure you spread your videos around your site and make sure the title tag of each page matches the title of your video. Long tail search terms are much more favourable for SEO and the more specific you can be, the better. It’s now possible for relatively new websites to rank higher and quicker than more established and larger competitors. The power of the video is showing no signs of abating during 2013 and in this age of multi-media technology we’re spending more and more time watching, listening and sharing as opposed to the more introspective approach of purely reading for information.